Though the job of a projector may seem simple and straightforward, choosing a new one can be as complicated as choosing a new computer. With so many different manufacturers and models to choose from, it’s important to have a clear idea of what you’re looking for before you begin. We’ve put together a list of five aspects to consider to help you narrow down what may seem like an impossibly long list of options. clients, consider a small, portable model. Though often overlooked, throw – the distance between the projector and the projection surface – is as important as size. While most projectors will be able to ‘throw’ an image over an intermediate distance, say a few meters, only certain models are capable of projecting an image from a distance of less than one meter. 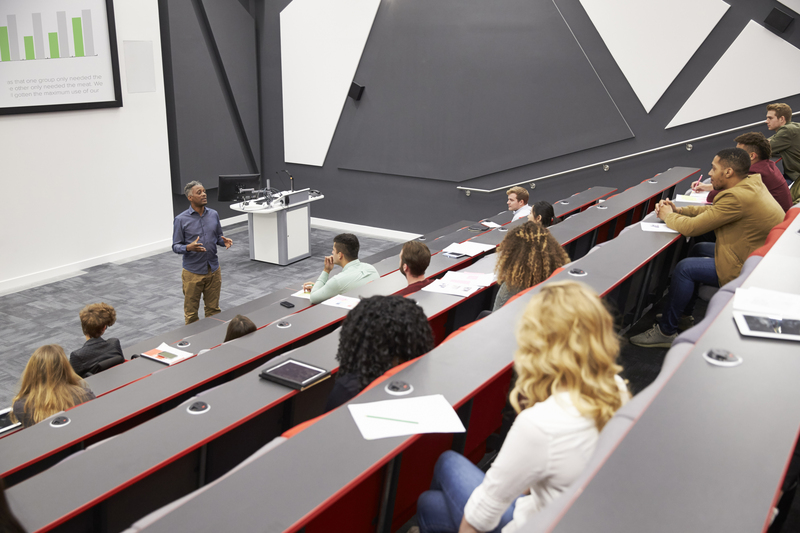 If you anticipate using the projector in particularly tight spaces, consider a short-throw or ultra short-throw (UST) model. Some models are also able to project from odd angles, or onto non-flat surfaces. 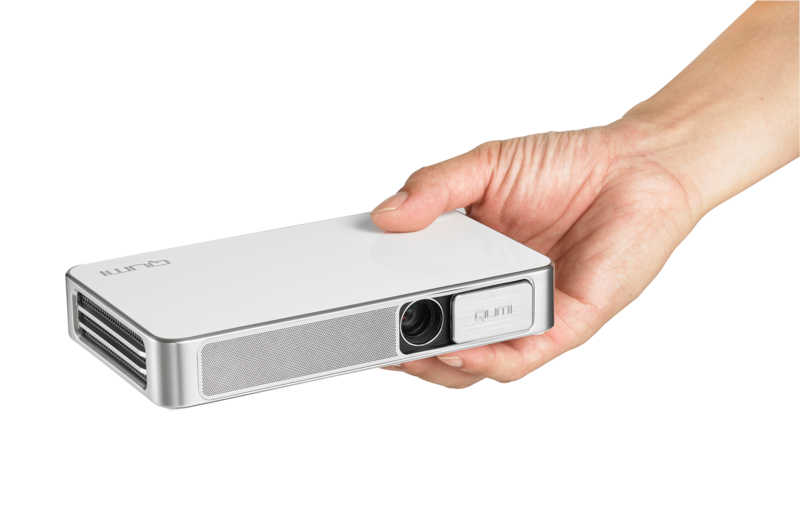 Projectors are available in a wide variety of resolutions, from XGA to WXGA, to 720p, 1080p, and 4K-UHD. While the acronyms can be confusing, it’s best to start by thinking about how you’ll be using the projector. For simple presentations on smaller screens a WXGA projector will be just fine. Larger screens and video content will be better suited to 1080p projectors, while 4K-UHD projectors are the new trend for very large screens or graphically-intense multimedia content. What brightness you need entirely depends on where you intend to use the projector and if you need it to be portable or not. If you need light weight and portable but still viewable in daylight, then the ideal brightness range is between 400 and 1000 lumens for small groups/presentations of 5 to 20 people. For non-portable projection, and typical use in indoor spaces, 3,000 lumens should be sufficient. For bright or larger indoor spaces, consider looking for at least 4,000-6,000 lumens, or even more for spaces receiving direct natural light. 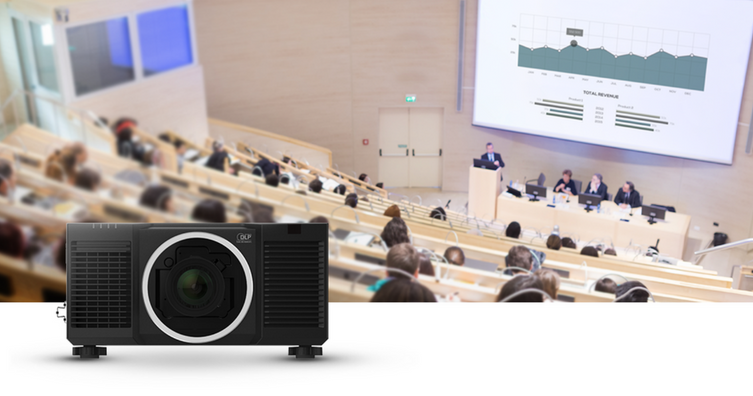 For even large venue applications, the brightness can go even go up to 18,000 lumen for a single chip DLP projector. Last but not least, don’t forget to consider what kind of computer, mobile device, or media source you’ll be using and how to connect it to the projector. An HDMI connection is most common. 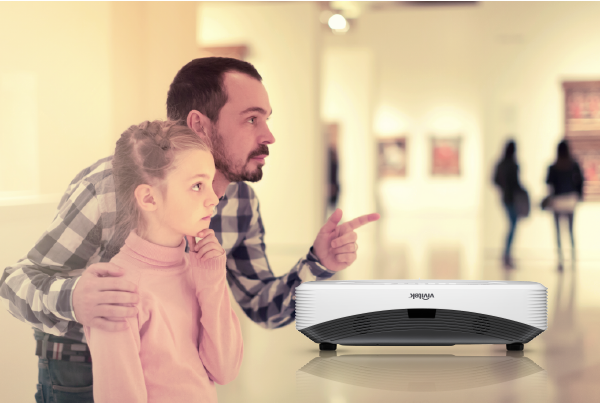 If you anticipate the need to connect your projector to a range of different devices, consider to add wireless connectivity, such as Vivitek’s NovoConnect to connect multiple devices wirelessly. 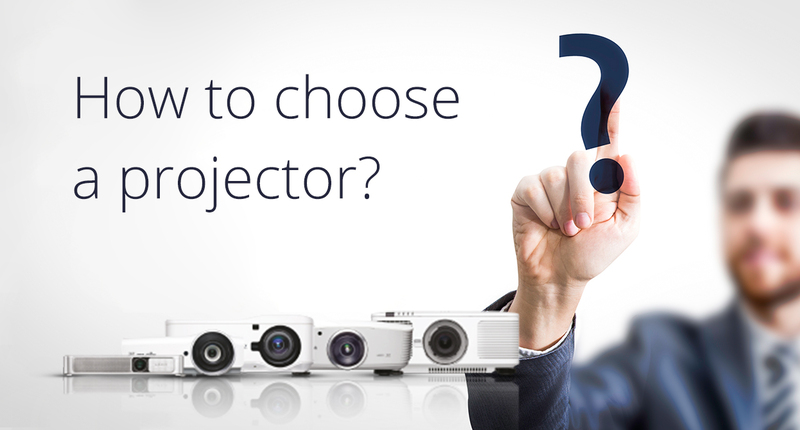 While choosing the right projector can be a challenge, the guidelines above will help you determine what’s best for your needs and your space. With a wide range of models ranging from large, ceiling-mounted units to the incredibly compact and portable Qumi line, Vivitek offers something for every space and every budget. For more information and assistance in choosing the right model for you, feel free to contact us.